Check out our Great Sales below! Welcome! You found us! Awesome now check us out! Not just here but in the store! We want to show you we can do better than your "normal" game shop! Better trade values, better service, awesome retro selection! Get hopping and save with Easter around the corner! BOGO 50% OFF Used Games (restriction apply. Excludes glass case games) PLUS we have a sale on RETRO game carts on the sales floor 10% OFF. Are you looking for new games too? Diablo 3 Eternal Colleection PS4 $19.85 and more. 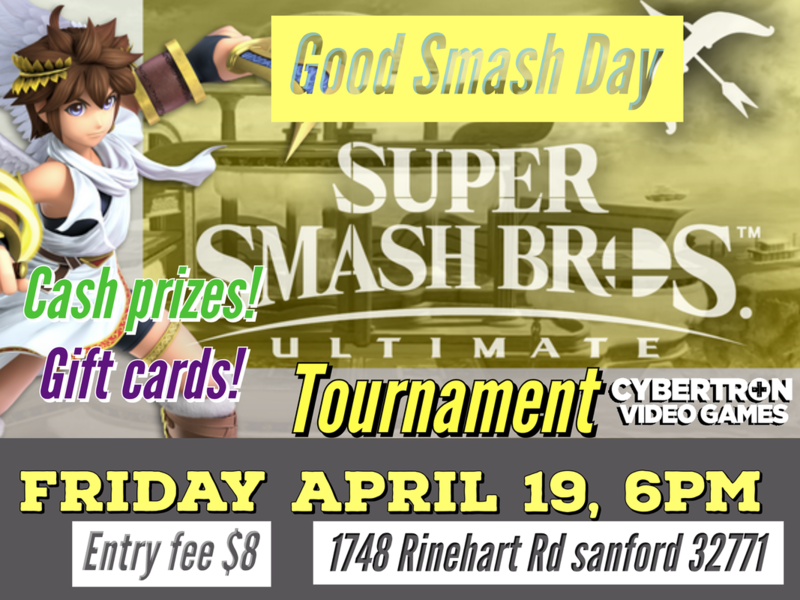 Join us and the Joker tomorrow for our Good Smash Day Tournament! You want more fighting games here it is! We teaming up with our great friends at Seminole State College! There was a great turnout last time. This time will be even bigger! Free Entry and Food! Great Prizes!